Located in the quiet space of Magdalen College Old Library, the Lawrence of Oxford exhibition offers a profound insight into the persona of T.E. Lawrence, better known as Lawrence of Arabia. The exhibition features some of the material assembled over fifty years by Jeremy Wilson and recently acquired by Magdalen College. 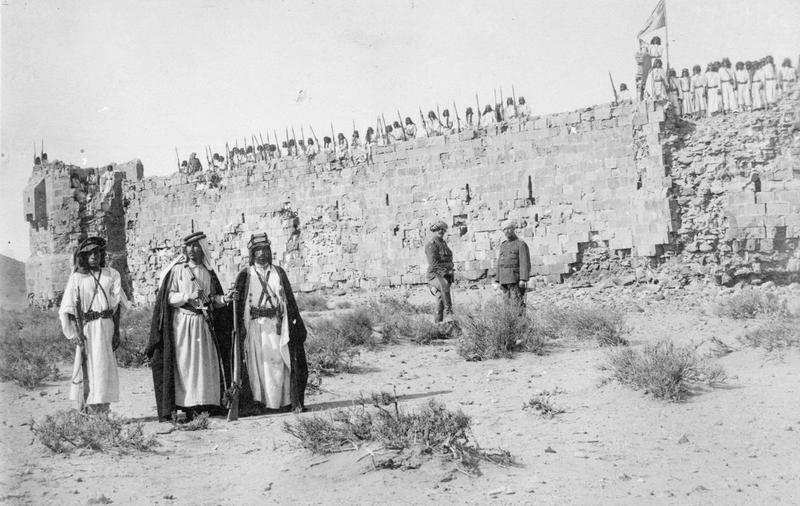 It is chiefly an examination of Lawrence’s efforts in the Arab Revolt during the First World War, his further political involvement in the region and his work as an author. In spite of being a graduate of Jesus College, Lawrence had strong ties with Magdalen, being elected to a Senior Demyship there in 1910, as well as being involved in the archaeological expedition in northern Syria as a member of the College until 1914. One part of the exhibition explores Lawrence’s archaeological pursuits and his close relationship with David Hogarth, a fellow of Magdalen College and keeper of the Ashmolean Museum. The exhibition essentially traces the different identities of Lawrence: as an archaeologist, a photographer, a writer and a military tactician. One glass case reveals the literary influences on Lawrence, among them works by Aristophanes, Malory and Blake. Even when fighting in the desert, Lawrence carried with him Morte d’Arthur, Aristophanes and the Oxford Book of English Verse. The exhibition itself (in the spirit of Lawrence, you could say) is overflowing with written material: maps, biographies, manuscripts. For those with no interest at all in either Lawrence as a person or the history of his time, the abundance of written material may prove to be tedious. Visitors should be prepared to read (and squint) a lot if they are to get the most out of the exhibition. Among the rarities displayed are the two versions of Seven Pillars of Wisdom, one a 1922 manuscript, the other Book VIII with handwritten annotations – one of eight copies of the 1922 ‘Oxford Text’ that Lawrence meticulously revised. One of the more curious artefacts from Lawrence’s political exploits in the Arab region are the stamps designed by Ronald Storrs and Lawrence for the independent Hejaz state in order to authenticate its independence. In light of the rumours that public scrutiny of Lawrence has left in the popular imagination, it can be difficult to find the ‘real person’ underneath. The exhibition, however, is interesting primarily because it shows us glimpses of the different sides of Lawrence and attempts to do so by means of authentic material such as his writing, photographs and the archaeological remains that he excavated. As you walk between the shelves of the library, on either side you encounter portraits of Arab subjects by Eric Kennington until you reach the round table in the middle, on which stands the bronze bust of Lawrence, created by Eric Kennington who also illustrated Seven Pillars of Wisdom. The whole section on the left is dedicated to Lawrence’s time in the Arab region, examining his rise to prominence within the British intelligence, his unusual military tactics and his time with the Arab Bureau in Cairo, where he joined other archaeologists recruited by David Hogarth to gather intelligence throughout the Middle East. All in all, the exhibition is a great way to immerse yourself in the intricate details of Lawrence’s life, although being so highly specialised, it might not be of interest to everyone. Yet, if you find yourself free on a Wednesday afternoon for even a brief glance around the Old Library, it is well worth a visit. The exhibition is open to all visitors on Wednesday from 2pm- 4:30pm in the Old Library, Magdalen College. It will run until 1 May 2019. Is capitalism consuming our artwork?